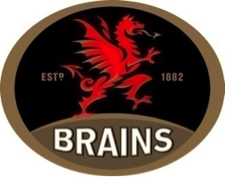 S.A Brain & Co Ltd has announced its latest results which show operating profit acceleration and sales growth for Wales’ leading independent brewer and hospitality operator. For the year ending 30th September 2014, Brains unveiled that operating profit grew by 113% to £5.4m following the implementation of a management restructure. Turnover grew to £123m, up £0.8m on the prior year and EBITDA accelerated to £13.0m, a year-on-year increase of +10%. In spite of a difficult trading landscape, growth was driven by successful investments in its outlets, focus on food offer development, accommodation and consumer marketing. The significant improvement in profit performance was also driven by enhanced operational efficiencies and an increased focus on cost control. Brains’ mainstream and seasonal beer brands continued to develop across the national on-trade and take home markets, while the Brains Craft Brewery, now well established, created more than 25 new beers throughout the year. The Brains-owned Coffee#1 business also continued to grow strongly with overall sales up by +30%. The growth was generated by the opening of nine new stores, taking the total to 45 at the end of September 2014.